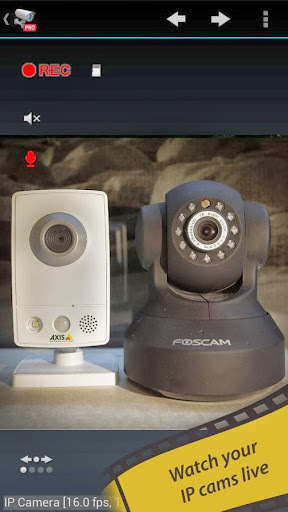 tinyCam Monitor PRO for IP cam v5.4.1 – One of the best apps available for Android for remote surveillance, control and video recording for your private/public network or IP cameras, video encoders and DVRs with CCTV cams (100,000+ active users). Monitor your baby, pet, home, business, traffic, and weather remotely and securely (no data being sent to 3rd parties). tinyCam Monitor provides best value to customers. Buy now to get more features in future updates for free! More than 25 major updates per year with new features! – RTSP support (RTSP over TCP, RTSP over HTTP) with support JPEG/MPEG-4/H.264 video codecs (both SW and HW). Only video at the moment. Audio will be added later. – Added RTSP/H264 for Axis, D-Link, Hikvision, Ubiquiti Networks and many many more.